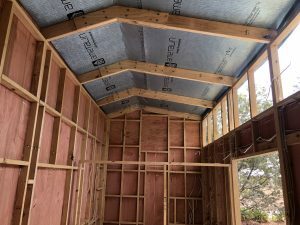 A Tiny House Shell is a great option for creative people who want to DIY their own tiny house without worrying about the structural integrity of their home. Electrical power points roughed in so you can run your power tools (and kettle) while you finish the interior. 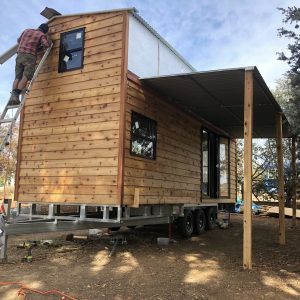 Tiny houses are vehicles, not buildings, so they need to be built strong to be safe to tow. Even if you only ever tow it once! That’s why Fred developed his Unified Construction Method™ that conceives of the tiny house and trailer as one unified whole. It goes way beyond building Code to secure the tiny house against wind pressure and vibrations that the tiny house will be subject to. That way, all you need to do is focus on fitting out your new tiny house exactly as you like it! Rest assured, your house is structurally sound and oh so customisable by you. All our shells are able to be bought through our partnered financing company. Eligible borrowers can purchase up to 100% of the shell through our financiers and make repayments over a seven year period. 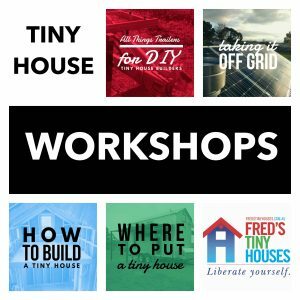 This financing option makes your tiny house project more financially accessible than a complete DIY project because you don’t have to front the money for all the materials at once and it takes less of your time off work to finish the build.